The latest in a line of state-of-the-art amenities, The Grove has opened the 6,300-square-foot Flip Flop’s Family Fun Center to capture the hearts of young children and adults alike. 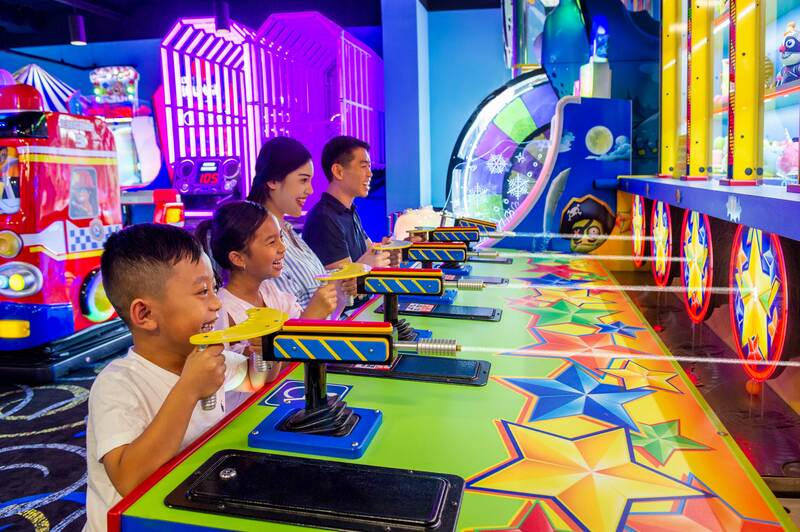 Flip Flop’s brings to the resort 65 state-of-the-art arcade and video games, virtual reality, kiddie rides, and glow-in-the-dark miniature golf. Highlighting a new generation of vacation homes in Orlando, the top-tier experiential amenities offered at The Grove continue to attract luxury buyers from around the world. This new generation of vacation home offers a series of amenities that are hard to find anywhere else. The new Flip Flop’s experience is anchored by seven holes of glow-in-the-dark miniature golf that challenge guests on a weaving course illuminated with black lights and themed in festive, fun-in-the-sun décor.